Holo is a distributed peer-to-peer hosting platform for Holochain apps (hApps), a bridge to the new Internet. Holo acts as a bridge between the distributed Holochain apps and the current centralized web. Holo brings access to distributed applications to the familiar web browser by creating an ecosystem and currency that enable distributed hosting services provided by peers. Holo does to web hosting what Airbnb did to hotels—anyone can become a host by turning their computer into a source of revenue, getting paid in Holo fuel for hosting distributed applications. The Holo software runs in the background, allocating spare storage and processing power to serve hApps to the legacy web. Hosts​ ​choose what hApps to serve, set their own hosting prices, and manage their own priorities. As our flagship application built on Holochain, Holo’s purpose is to make hApps easily accessible to mainstream Internet users. These users might not be ready to install and experiment with next-gen crypto software like Holochain, as most are not overly familiar with distributed web applications. However, by typing or clicking on a URL in a web browser, which IS familiar, users will be able to access hApps in the way in which they are already accustomed. Holo runs on Holochain—a next-generation framework that is massively scalable, exponentially faster, far more energy efficient, and 10,000x cheaper than blockchain. Resource What is Holo fuel? Holo fuel is Holo's native, asset-backed, mutual-credit currency. Holo fuel is a Holochain-based currency that is a contractual service obligation, redeemable for hosting. Holo fuel is a mutual-credit accounting system capable of performing billions of daily microtransactions. Its primary use is for Holochain application (hApp) providers to pay Holo hosts for their services. Optimized for high speed and minimal fees. Currency you earn for hosting on Holo, and redeem to pay your bills. Completely accountable and transparent crypto-accounting, operating by known and shared rules running on every host machine. How is Holo fuel different? Mutual Credit: Unlike other cryptocurrencies which are primarily used for speculation, Holo fuel is not tokens created from nothing. It is a double-entry crypto-accounting framework that provides scalability, transparency, and accountability. Asset-Backed: Holo fuel is backed by the computing power of hosts like you across the globe. Value-Stable: The value of Holo fuel is connected to the computing capacity of the network of hosts. This capacity evolves and changes slowly and isn't subject to huge spikes and crashes the way other speculative tokens are. How can I use Holo fuel? Spend it through a variety of apps and online marketplaces. Redeem fuel earned by hosting for other currencies to pay your bills. Borrow it, based on your proven hosting track record, to pay for things. Holo fuel is designed for micro-transactions—millions of transactions at fractional values. Holo fuel is divisible in fractional units. Holo fuel marks the beginning of a new era of cryptocurrencies backed by the capacity provided by people. All of the currency supply is correlated to building and providing the computing power of the Holo network. We always create that value together. Most cryptocurrencies are modeled as digital objects tracked on a global ledger. With Holo fuel, each user has their own ledger showing their account balance and transaction history. Each transaction requires an agreement between two people, which is then recorded on their respective ledgers and validated by peers in the network. Mutual credit means that every credit (positive) has an equally matching debit (negative), giving a net supply of zero and a dynamic circulating supply that’s responsive to the actual market behavior of its users. Credit limits are directly connected to a demonstrated capacity to repay a negative balance by providing hosting resources. Holo fuel is directly redeemable for hosting services. Holo fuel is therefore backed by computing power, a valuable modern asset. Being asset-backed and having a dynamic supply means that Holo fuel can be value-stable without being static or requiring a peg. Holo fuel can optimize the market value of its units in relation to the cost of hosting, creating a steady and stable trajectory. The agent-centric design allows for the transactions per second (TPS) to increase the more people use it, mirroring how the English language’s “words per second” increases as more people speak it. Therefore, Holo fuel is scalable for mass adoption. There is no mining or staking involved in earning Holo fuel—only the useful work of web hosting. Anyone can become a host and be compensated by application providers who want their hApp served to the web. The HoloPort is an easy and direct way to support the distributed Internet, designed to host peer-to-peer Holochain applications. As easy-to-use dedicated Holo hosting devices, HoloPorts serve as a bridge between the community running distributed Holochain applications and visitors from the web. Owners of HoloPorts can charge fees for their hosting service and earn Holo fuel. HoloPorts come in three sizes—the HoloPort Nano, the HoloPort, and the HoloPort+. The HoloPort is a plug and play device built for hosting Holochain apps to service mainstream web users. The HoloPort runs as a stand-alone server with a Linux distro installed, pre-configured, to run/host efficiently. A HoloPort needs Internet service, but it does not need to be connected to a computer. HoloPort can run 24/7 using very little electricity (15W-45W). It will come with a Holo host Linux image (based on a custom NixOS build) that includes a mobile/web UI to configure with your host settings. You will need to interface with the Holo admin UI to configure some settings. You can select the hApps you want to host. HoloPorts are NOT required for hosting on Holo. Anyone can be a host. In the future, you will be able to a) download the Holo Host OS image, or b) download the Holo hApp that can be installed on existing Linux/Window/Mac systems, including low-power computers such as Raspberry Pi and enterprise devices. Resource Could I use my HoloPort as a regular computer if I wanted to? Resource How much bandwidth does a HoloPort use? What’s the difference between Holochain and Holo? Holochain is a framework for creating and powering distributed applications, incorporating peer-to-peer content distribution protocol, cryptography, and hash tables. Holo is a marketplace and distributed hosting platform that allows Holochain app developers to have their applications hosted by HoloHosts, thus making them available to everyday users of the Internet. What’s the difference between HOT and Holo fuel? Is Holo fuel like Eth gas? HoloToken (HOT, ERC20) is NOT (≠) Holo fuel (HOLO). HoloToken (HOT) is a placeholder and an IOU for Holo fuel. Holo fuel is like Eth gas. Holo fuel and HOT are designed differently and have different purposes. Holo fuel DOES operate in a similar way as Eth gas, but there are some design differences. Holo fuel is designed to perform billions of daily microtransactions for hosting services. Holo fuel is Holo's native, asset-backed, mutual-credit currency. Ethereum, Bitcoin, HoloToken (HOT, ERC20), and Holo fuel are cryptocurrencies. p8: In the future the micro-transaction flows for hosting payments could also undergird a general purpose cryptocurrency payment system in a similar way that “gas” powers the Ethereum transaction engine. p37: Holo fuel is a unit of account in Holo using value-stable double-entry accounting. The crypto-credit used to purchase hosting in the shared Holo Ecosystem. When it is released, you will be able to buy Holo fuel through the Reserve Account, third party exchanges, peer-to-peer, etc. Is there a ≤1% transaction fee? All Holo fuel transactions will incur a ≤1% transaction fee initially, paid by the sender, and transaction fees will always be in the range of 0-1%. Holo fuel is designed for micro-transactions—millions of transactions at fractional values. Holo fuel is divisible in fractional units. This is an enormous infrastructure to support and has never been done before. Holo will charge a ≤1% fee on all transactions to support building and scaling this infrastructure. Holo will look to decrease transaction fees, maintaining enough revenue to sustain the infrastructure services, after it has scaled enough to meet the expected demand and cost of servicing the infrastructure. The sender incurs the transaction fee, not the recipient. Hosts do not incur transaction fees for providing hosting, fees happen when they transfer, withdraw, or redeem Holo fuel. Peer-to-peer transactions incur the transaction fee. In transactions involving Holo fuel and another Holochain-based currency, the sender will incur the transaction fee. Holo fuel is not required for running a Holochain app; it is only required for hosting a Holochain app on the Holo Host network. Fees may not be incurred on transactions between agents who comprise one identity (e.g. a HoloPort, laptop, and phone that all belong to me). Large financial transactions (not micro-transactions) may incur reduced fees. We will review this as the need arises. Holochain-based cryptocurrencies do not incur the ≤1% fee on their own transactions, but will incur fees for the Holo fuel they use to pay their hosting fees for all agents whose chains are hosted on the Holo Host network. Why is there no supply limit for Holo fuel? Having a dynamic supply allows Holo fuel to adapt to the needs of the hosting economy, protecting it against extreme price volatility. Dynamic supply is inherent in the design of a mutual credit currency, where every credit (positive) has an equally matching debit (negative). The constant interplay between positive and negative accounts determines the circulating supply at any given moment. This dynamism is critical for Holo fuel to be useful as a medium of exchange. It allows the supply to organically respond to demand in the hosting economy, expanding or contracting as demand increases or falls (see “How does Holo fuel’s dynamic supply work?” for more details). A currency with wild price movements is good for speculative swing trading, but not for a day-to-day, productive use. Holo fuel is made to be stable enough for normal people to trust with doing business. How does Holo fuel’s dynamic supply work? Fatima and Ellie both have a balance of 100 Holo fuel, representing a supply of 200 Holo fuel total. Fatima agrees to pay Ellie 50, so that Fatima ends up with 50 and Ellie ends up with 150, resulting in the same 200 Holo fuel in circulation—exactly what existed before they transacted. Fatima, an application provider, has a balance of 200 Holo fuel. Ellie, a host, has a negative balance of -200. These balances represent a total active supply of 200 Holo fuel total. Fatima agrees to pay Ellie 50 Holo fuel for hosting services. Fatima ends up with 150 and Ellie ends up with -150, paying off part of Ellie’s debt and removing 50 Holo fuel from circulation. Therefore, it is only accounts with credit limits, host and reserve accounts, that determine the supply of Holo fuel. When their balances go negative, circulating supply goes up. When their negative balances move toward positive again, in other words, as their debts are paid off, supply goes down - as long as the negative account is transacting with a positive one. Supply decreases every time a host with a positive account balance redeems the fuel they earned through hosting. Since Reserve Accounts always have a negative Holo fuel balance, backed by fiat reserves, supply is removed from circulation when a host redeems for an outside currency through the reserve, paying off part of the reserve account’s Holo fuel debt. Hosts have the right to spend below zero, the credit limit being determined algorithmically based on their demonstrated ability to earn back that debt through hosting (i.e., their fuel debt is backed by hosting power). Circulating supply changes depending on how much hosts choose to spend (supply goes up) or pay off (supply goes down) their credit. Holo fuel can be purchased from Reserve Accounts or acquired by trading on regular exchanges. The price of Holo fuel on Reserve Accounts will be determined by an algorithm that takes into account the price at which Hosts are willing to redeem. When people buy fuel from the reserve (e.g., if the price is lower on the reserve than the exchange), the circulating supply will increase. Buying from an exchange will have no impact on supply. To summarize: The supply of Holo fuel can expand and contract in response to demand, adjusting to the actual market behavior of its users. How can I start earning Holo fuel? Once Holo launches in 2019, you can earn Holo fuel by hosting Holochain apps to service mainstream internet users providing hosting services. HoloPorts are efficient, plug and play devices that make hosting easier, especially for those who might not be comfortable with Linux. You can pre-order a HoloPort on shop.holo.host. Anyone can become a host by buying a HoloPort hosting device or downloading the Holo app (no purchase required) to run on any Linux device. Windows and Mac versions will be released at a later date. In the future, there will be additional ways to earn Holo fuel. For example, credit may be extended for exchange or barter based on trust, services, and skills. You will be able to buy Holo fuel from Holo, third party exchanges, peer-to-peer, and from apps that sell Holo fuel. These are the options that we know today, who knows what will be possible tomorrow?! Holo’s Reserve Accounts will only redeem Holo fuel that is earned through hosting services. The system is designed to know how Holo fuel was earned, so you can only convert Holo fuel into other currencies for hosting. Holo fuel obtained, but not earned, from hosting is likely to be able to be exchanged and traded on third party exchanges and platforms. - p5: Holo Hosts get paid for providing hosting to mainstream users who just use their browser instead of installing Holochain. - p7: Holo​ enables hosts to turn a consumer-grade mini-computer into a source of revenue, where they get paid for hosting distributed applications. Hosts ​choose what apps to serve, and set their own hosting prices and priorities. - p18: General Purpose Transfers and Transactions: Initially, Holo ​will only support hosting services and so support hosting transactions only. Eventually Holo​ needs to be able to support general purpose transfers and transactions that are not just hosting transactions. - p33: Hosts will be required to register if they want to redeem credits for outside currencies through reserve accounts. Why does Holo need its own currency? Low cost in terms of fees and computing cycles. Millions of transactions per second and batched accounting of service provision. Value-stable, with dynamic supply, backed by valuable assets. Distributed hosting requires microtransactions, which is the main reason we need a currency that can process payments worth fractions of a penny while still costing less (in fees and computing cycles) than the original computing and funds being counted. We designed Holo fuel to have low computational overhead; its efficiency allows us to charge 1% or less in transaction fees. 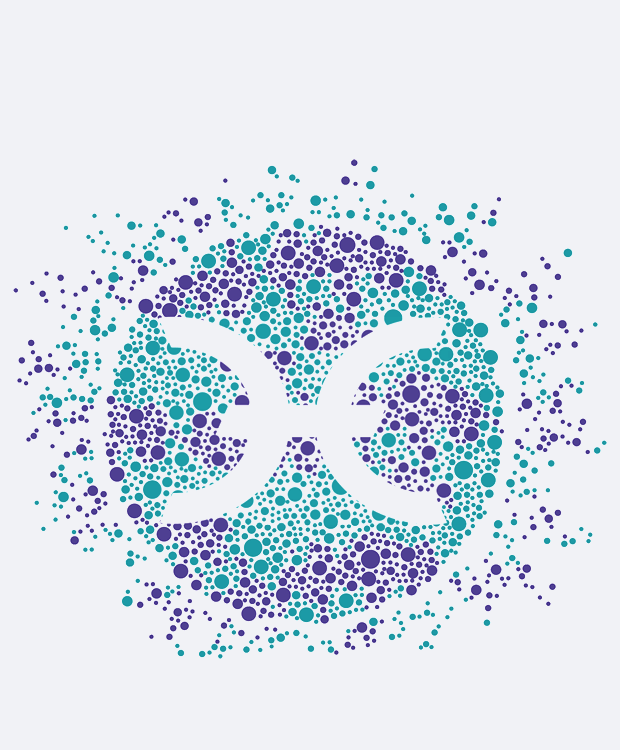 For Holo to serve the trillions of small computational interactions required for a distributed hosting ecosystem, we’ve designed its currency to support millions of transactions per second (TPS) and account for service provision in batches. Holo fuel’s TPS technically has no limit, increasing as the network scales up - thanks to Holochain’s highly efficient, agent-centric approach to data integrity. A useful currency can’t just be a “digital gold” store of value. It has to function well as a medium of exchange, which means it needs to be stable enough for people to trust doing business with it. Holo fuel optimizes the market value of its units in relation to the cost of hosting by 1) allowing for the currency supply to be dynamic in response to actual market behavior of its users (see Why is there no supply limit for Holo fuel? and How does Holo fuel’s dynamic supply work? ), and 2) being asset-backed by the hosting resources of the network. These design features give the currency a steady and stable trajectory without being value-static or requiring a peg. How does Holochain manage consensus and data integrity? Holochain maintains data integrity without the need for global consensus. It uses an agent-centric approach, combining ideas from BitTorrent and Git, along with cryptographic signatures, peer validation, and gossip. Agents have their own local, tamper-resistant hash-chains recording their actions, built upon hApp rules. Each hash-chain entry is cryptographically signed (multi-party actions, like transactions, are mutually countersigned). Data is shared to random peers who validate it. Validators gossip to share good data, warn against bad data, and blacklist bad actors. 1. hApps have validation rules. When people ask about consensus, what they really want to know is how users can agree on the “facts” of their interactions, technically known as data integrity. Holochain applications (hApps) maintain data integrity without the need for blockchain-style global consensus. Things in the real world—atoms, cells, bodies—maintain the integrity of their individual and collective state just fine without consensus on a global ledger. In the same way, Holochain’s approach to data-integrity is agent-centric, rather than data-centric, with each node being like a cell that maintains its own state while remaining bound to the physical and biological constraints of the ecosystem in which it lives. 2. Agents have their own local, tamper-resistant hash-chains recording their actions, built upon hApp rules. The “biological constraints” of a hApp are encoded in its validation rules—the DNA of the application. These rules are the only things nodes in a hApp need to maintain global consensus. With these rules as the foundation, each user keeps an immutable record of their own actions on a local hash-chain, DNA being the first entry on the chain. Each tweet, vote on a poll, or currency transaction (depending on the hApp) would be an additional entry on the agent’s chain for that application. Keep in mind that Holochain is not a platform like Ethereum, where every dApp runs on the same network. Each hApp has its own validation rules and its own separate network. If an agent tries to cheat by tampering with their copy of the validation rules, they fork themselves off into a separate, lonely hApp just for them. 3. Each hash-chain entry is cryptographically signed (multi-party actions, like transactions, are mutually countersigned). Each hash-chain entry is cryptographically signed to prove authorship and ensure accountability. Multi-party interactions (e.g., transactions) are mutually countersigned to each party’s chain, and peers are able to audit each other’s chains before agreeing to an interaction or transaction. Nodes can then share data with each other via a distributed hash-table (DHT), the same technology underlying BitTorrent’s peer-to-peer file sharing protocol. What’s different about Holochain’s DHT is that it also ensures that the shared data follows validation rules. 4. Data is shared to random peers who validate it. To share data, an agent’s device sends it to a subset of random peers (randomness defends against collusion) based on the similarity of their public key hashes to the hash of the data being shared. These random devices check that the shared data follows the rules of the application. The data is rejected if it breaks the rules. If it follows the rules, the validator marks it valid, signs that statement, and propagates the data by gossiping to the network. 5. Validators gossip to share good data, warn against bad data, and blacklist bad actors. If a node is found to be propagating or validating bad data, that node is blocked and a warning is sent to others via gossip. This effectively blacklists bad actors from participating in the app. Additional measures to defend against flooding the network with fake validators are customizable for each application. A messaging app may only need basic protections, such as using email verification, whereas a supply chain handling million-dollar transactions may require vouching from industry peers, an invitation code, and government ID verification to join the network. It’s worth noting that consensus algorithms can be built on Holochain if desired, though they would have the same unnecessary wastefulness and inflexibility of blockchains. We have been able to map an alternate approach for every situation that seemed to need an absolute sequence of events or global consensus. We found solutions that do not have those requirements.